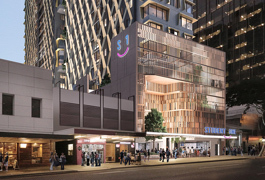 Opened on the first of January 2018, Student One Wharf Street is Brisbane’s tallest purpose-built student accommodation building. 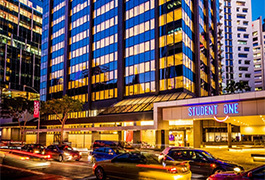 This building is home to up to 753 residents and perfectly located across the road from our Adelaide Street residence. 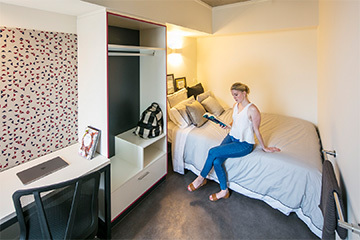 Student One Wharf Street is in the heart of Brisbane city and only minutes from all public transport options, universities, colleges and language schools, and within walking distance to a world-class shopping, dining and entertainment precinct. 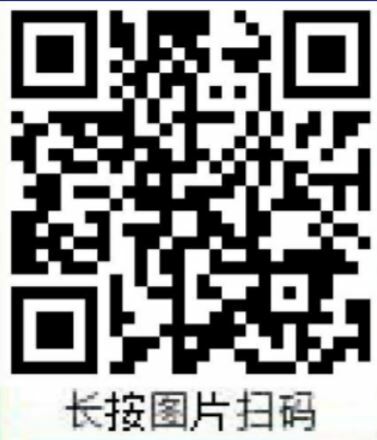 Contact us now to arrange your site tour. 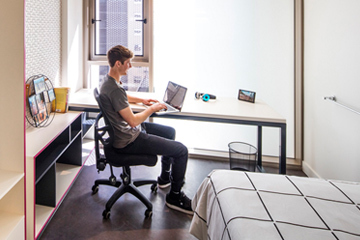 If you are an Australian student undertaking a full time undergraduate program at a local University and are eligible to receiving Federal Government Assistance, such as ABSTUDY, AUSTUDY, Youth Allowance or a bursary of some type from your University, you might qualify for the Student One Scholarship. 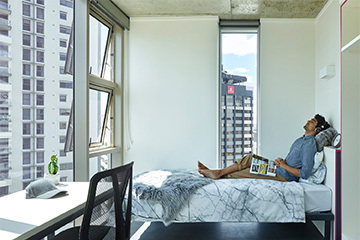 Most of our five-bedroom apartments have one superior corner room, which has large windows built to allow vistas up and down the city skyline. Architecturally designed to take advantage of natural light and views, this is an enviable option. 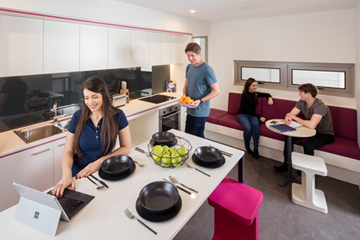 Our four-bedroom apartments offer students the chance to socialise with like-minded residents, while also having more space and privacy in the apartment. Like sleeping diagonal? 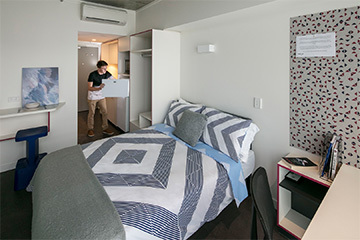 Our Double Studios are perfect for those who prefer a bigger bed. These studios are truly an adaptable option. 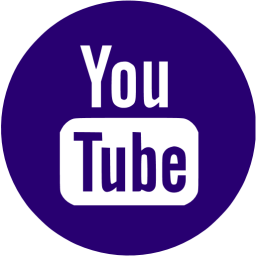 They are perfect if you need that extra space to move around or many of them can be reconfigured to assist students with mobility impairments. 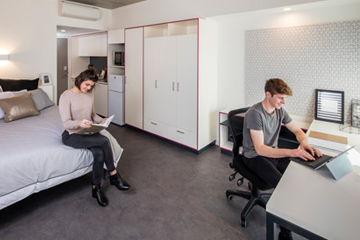 Our Executive studios can be configured to cater for couples or students who want more living space. Each studio has large windows and high ceilings to take advantage of the natural light and city or river views and include a lounge suite. 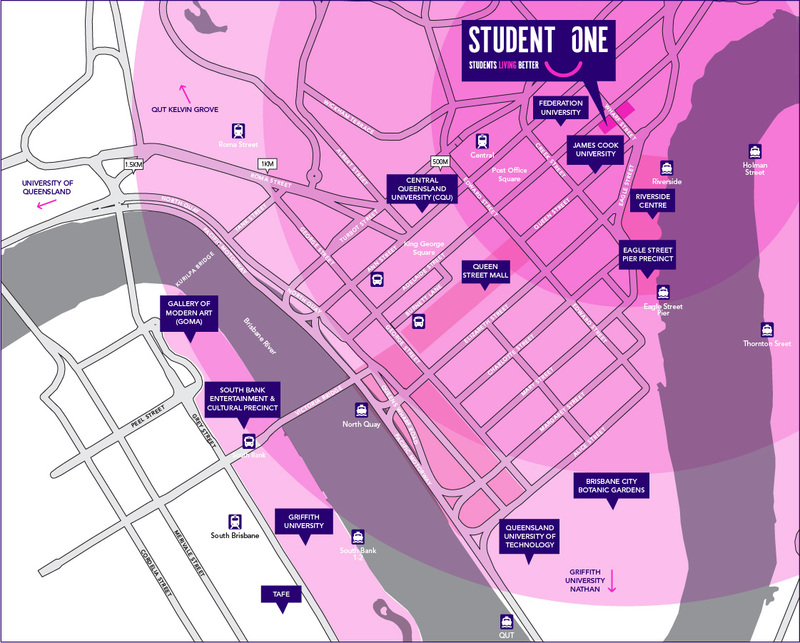 A bus stop (bus number 33) is located on Adelaide Street, only 20 metres from Student One’s doorstep. 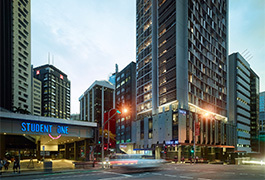 Brisbane’s bus schedules are very regular and travel to all of the universities and educational institutions.